Six of the members that signed the letter are running for higher office in 2018. Indiana Republican Congressman Luke Messer formally nominated President Donald Trump for the 2019 Nobel Peace Prize for his efforts to get North Korean leader Kim Jong Un to give up his nuclear weapons program. Messer, who is seeking the GOP nomination for U.S. Senate in Indiana next week, was joined by 17 Republican House colleagues in submitting the letter to the Norwegian Nobel Committee, including five additional GOP members running for higher office in 2018. 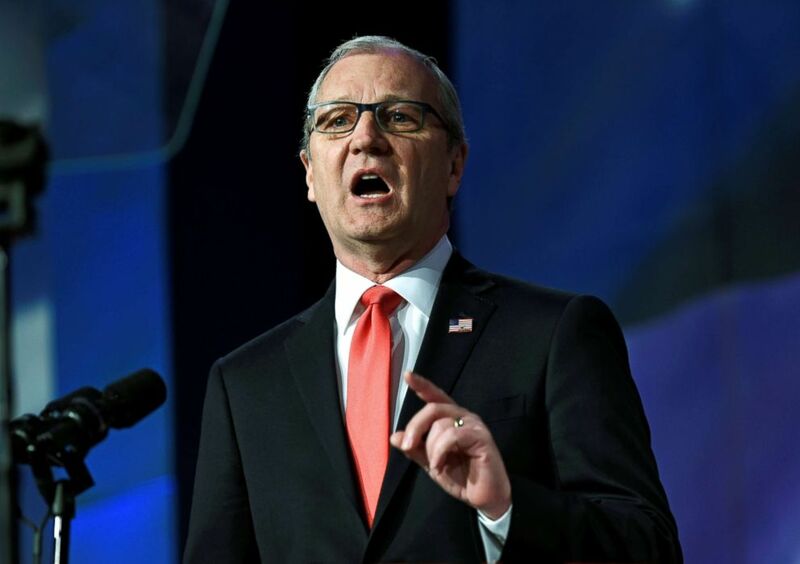 (Dan Koeck/Reuters) Rep. Kevin Cramer, R-ND, speaks at the 2018 North Dakota Republican Party Convention in Grand Forks, N.D., April 7, 2018. "President Trump’s peace through strength policies are working and bringing peace to the Korean Peninsula,” Messer wrote in his letter, "We can think of no one more deserving of the Committee’s recognition in 2019 than President Trump for his tireless work to bring peace to our world." Messer, Rep. Jim Renacci of Ohio, Rep. Kevin Cramer of North Dakota, Rep. Marsha Blackburn of Tennessee and Rep. Evan Jenkins of West Virginia are all Republicans running for U.S. Senate seats this cycle in primaries that have often revolved around proving which candidate is the most loyal supporter of the president. 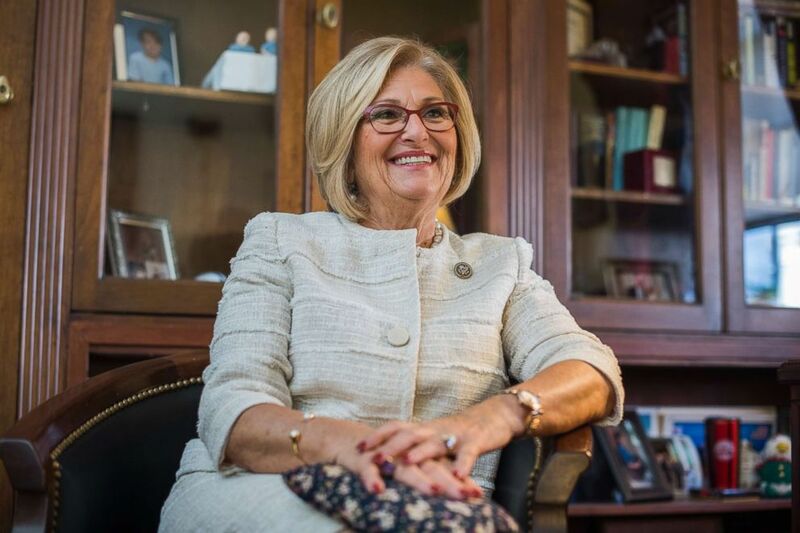 Rep. Diane Black is running for the GOP nomination to be the next governor of Tennessee. Messer's campaign has referred one of his opponents, Rep. Todd Rokita, as "Lying Todd Rokita," while businessman Mike Braun is running an ad featuring cardboard cutouts of his two opponents asking people on the street to try and tell Messer and Rokita apart. Rokita is not one of the House members who signed onto Messer's letter nominating Trump for a Nobel Prize. President Trump told reporters in the Oval Office Tuesday that the exact date and location of his meeting with North Korean leader Kim Jong Un will be announced in the next "couple of days." "We're setting up meetings right now and I think it's probably going to be announced over the next couple of days – location and date," Trump said. The potential meeting comes as the leaders of North and South Korea agreed to work toward the removal of all nuclear weapons on the Korean Peninsula and pursue talks to officially end the Korean War. Denuclearization of North Korea has been a key issue going into the talks between the U.S. and North Korea. The North is suspending, not freezing, its nuclear tests for now, but both Trump and South Korean President Moon Jae-in have expressed hopes that the North is ready to give up its nuclear weapons in exchange for economic assistance. (Tom Williams/Getty Images) Rep. Diane Black, R-Tenn., chairman of the House Budget Committee, is interviewed in her Longworth Building office on Oct. 3, 2017. The Nobel Prizes are presented in Stockholm, Sweden every year on December 10th, the anniversary of Swedish chemist Alfred Nobel's death. Four U.S. presidents have received the Nobel Peace Prize: Theodore Roosevelt, Woodrow Wilson, Jimmy Carter and Barack Obama.